Many recent science and information technology graduates are failing to find full-time work at a time when science, technology, engineering and mathematics (STEM) education is a priority for government and industry. Mapping Australian higher education 2016 shows that in 2015, only half of bachelor degree science graduates seeking full-time work had found it four months after completing their degrees, 17 percentage points below the average for all graduates. Among recent science graduates who found full-time jobs, only half say their qualification is required or important for their job – about 20 percentage points below the average. Although job outcomes improve over time, science bachelor degree graduates are less likely than other STEM graduates to work in high-skill managerial or professional jobs. 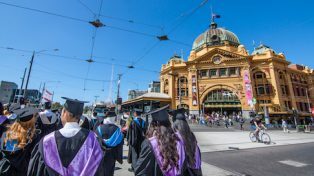 This year’s edition of Mapping Australian higher education, Grattan Institute’s regular overview of key trends in higher education, focuses on STEM graduate employment. Despite poor employment outcomes, demand for science courses continues to grow. Prospective students thinking about studying science need to know that a bachelor science degree is high risk for finding a job. Often students need to do another degree to improve their employment prospects. While there are many more potential jobs in IT than science, a third of recent IT graduates looking for full-time work have not found it after four months. IT students are less satisfied with their skills development, and are more likely to leave their courses without finishing, than are other students. IT industry and professional bodies suggest that university IT courses need improving. Engineering graduates have better employment prospects than science or IT graduates. Three-quarters of new engineering graduates looking for full-time work find it within four months, and have the highest rate of professional or managerial employment of all STEM graduates. In other trends examined in the report, domestic enrolments exceeded one million for the first time in 2014, with the fastest growth in health. International student numbers are growing again, after a fall between 2010 and 2012. Student satisfaction with teaching is also increasing. Overall course completion rates range from 95 per cent or more for students with ATARs over 95, to just over 50 per cent for students with ATARs of less than 50. The most common average mark reported by students is between 70 and 79 per cent, with domestic students doing better than international students. Analysis of the 2011 Australian census shows that the median male bachelor-degree holder has lifetime additional earnings of $1.4 million, compared to the median male who did no further education after Year 12. For women, the estimated lifetime earnings premium is just under $1 million, compared to the median female who undertook no further education after Year 12. HELP lending is growing rapidly, reaching nearly $8 billion a year in 2014-15. HELP repayments have stalled at about $2 billion a year. 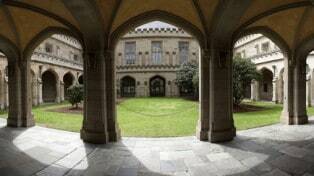 Australia performs well in global research rankings, but in recent years levels of university research expenditure and outputs have stopped growing.